Hello, all! 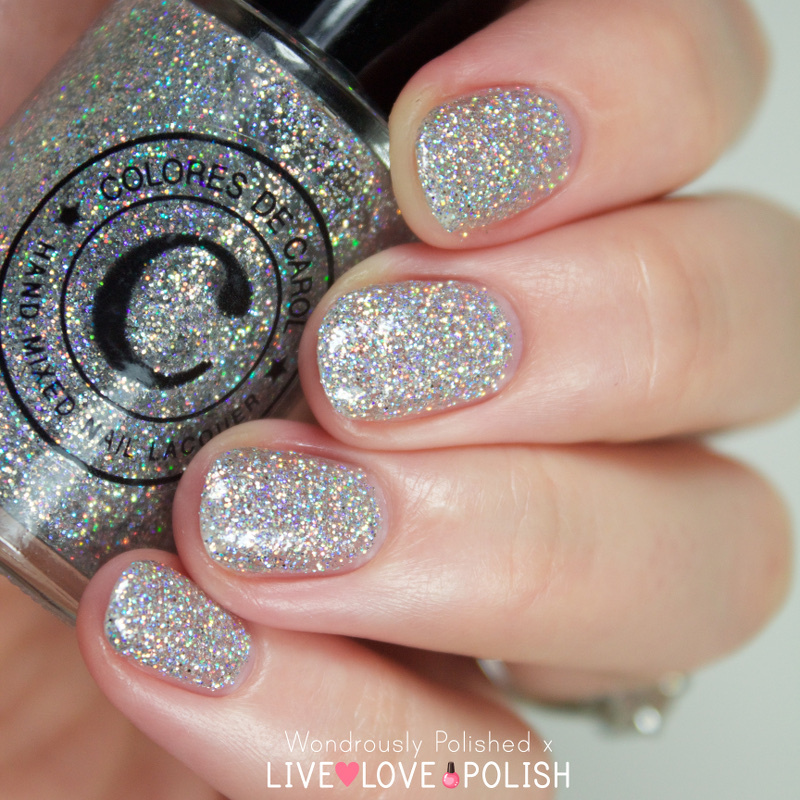 I have another set of beautiful polishes from the Live Love Polish shop to share with you today! These 3 Colores de Carol shades have been curated to create a perfect Valentine's Day gift set that is versatile enough to work year round while also helping you celebrate love day. What's even better is that all Colores de Carol polishes are 5-Free and vegan and cruelty free so there's no guilty conscious to be found. The set consists of a holo and two glitter polishes so let's dive in! 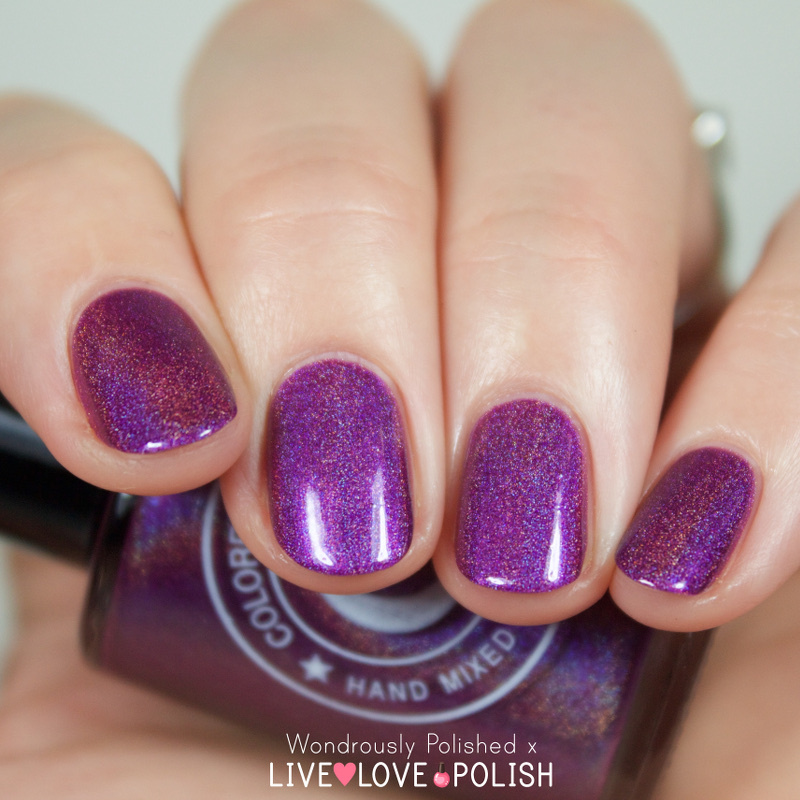 Amethyst is a vibrant purple linear holo that is a crowd favorite (and I can see why!). 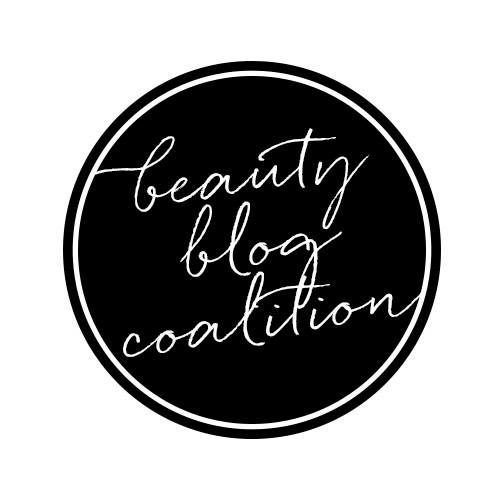 This is both lovely to look and lovely to apply! 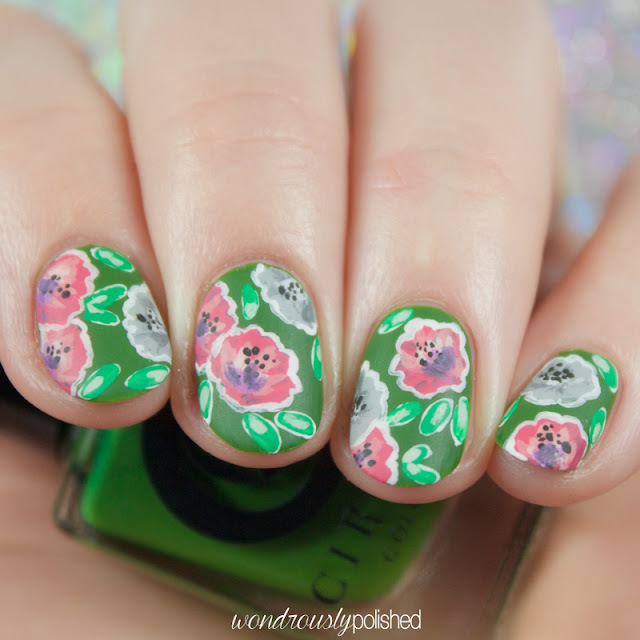 The formula was great and shown is 3 easy thin coats. Bling is aptly named as it's well, super blingy! It's a clear based polish packed to the brim with silver micro holographic glitters and I could not stop drooling over this baby. This could be used as a glitter topped if you'd like, but I ended up using 3 thin coats to reach a close to opaque finish (if you look closely you can still see some of my natural nail through the glitter, but the holographic effect makes it hard to see at a glance, which I love). 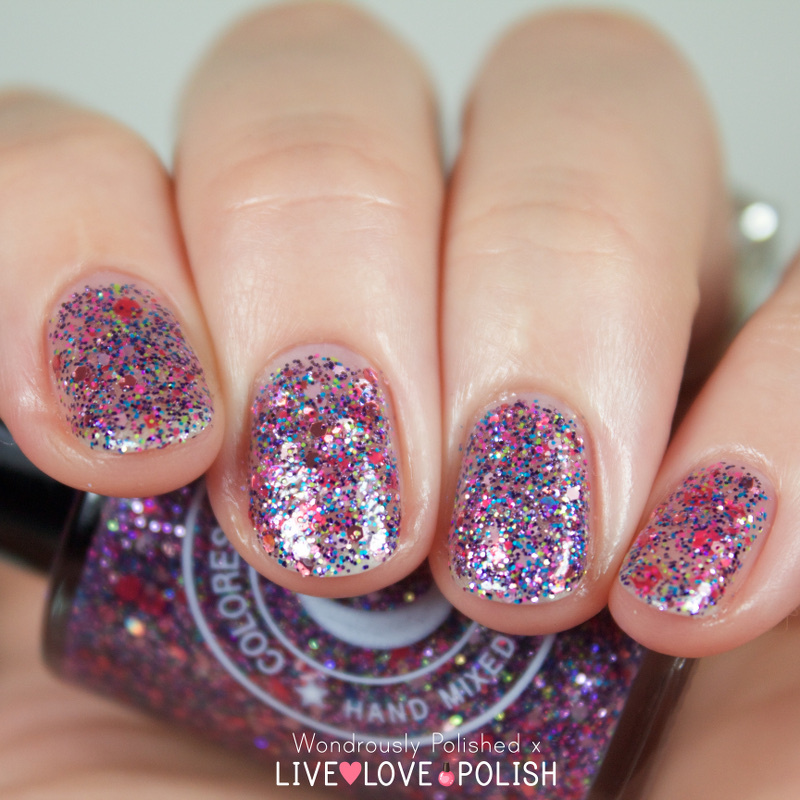 Finally, we have the Live Love Polish exclusive polish, Jesse's Girl, a glitter bomb packed with magenta, purple, pink, blue and silver micro and square glitters. This one applied nicely and I've once again shown is layered by itself over my natural nail. I'm not loving this one as much as the other two shades as I personally feel like it's a little bit too busy (the square glitter gets lost in the micro glitters), but I do still think it's a very fun shade worth checking out (especially if you love exclusive polishes!). Shown is 2-3 coats. Overall, I think this is a knockout gift set! It was curated nicely and fits well with the Valentine's theme. The great thing about these 3 polishes, however, is that even though it was created with V-day in mind, I can totally see myself wearing these shades year round (I mean, sparkle is always in). 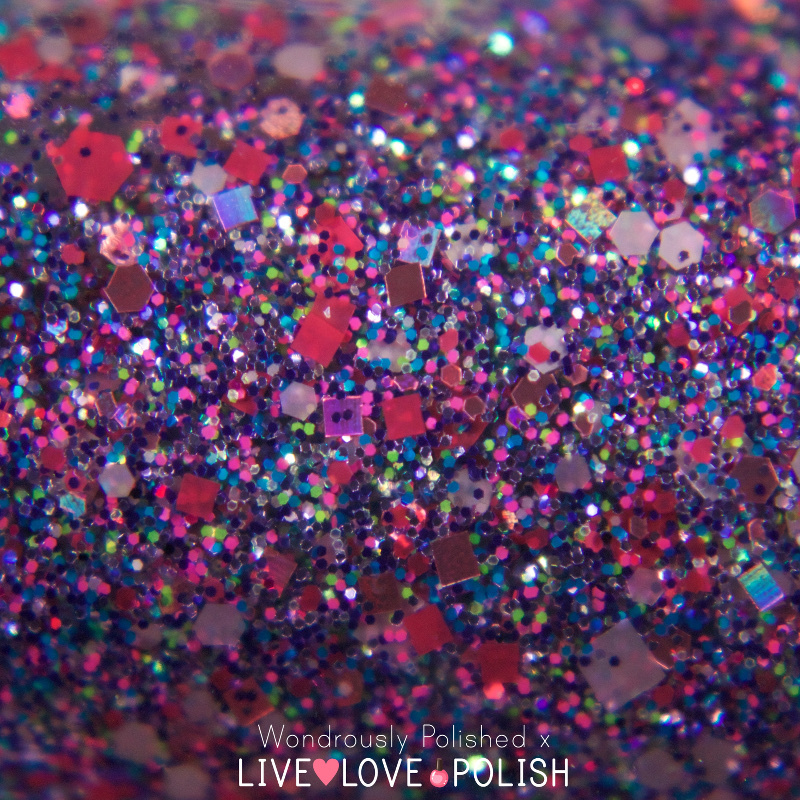 You can pick up the box from the Live Love Polish site now (and don't forget - shipping is free over $20!) but supply is running low so don't miss out! Use the code WONDROUSLYPOLISHED for 10% off your first order and be sure to follow LLP on your favorite social media page to stay current with their latest stock items and promotions! How do you like these? Any of them whispering sweet nothings in your ear? ;) Happy Polishing!